I am back in Doha for the 9th time in 10 years. I’m writing about a day trip to the northern part of the Qatar peninsula which juts out in to the Persian Gulf, or as they say here the Arabian Gulf. The destination was a place called Al Zubara, an ancient fort and an archeological dig. I learned all about pearl divers today. 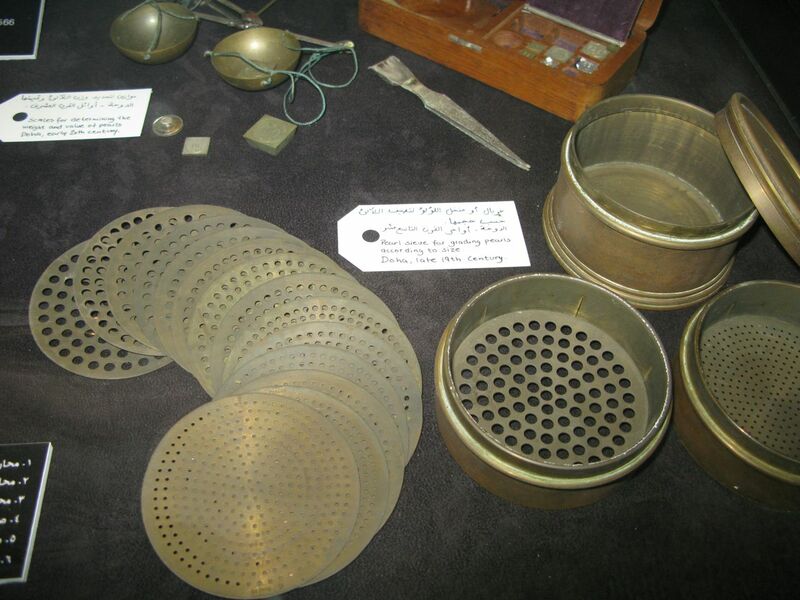 A pearl diver stays underwater for 2 minutes. 1 min is for collecting pearls. They do about 50 dives per day down to 6-10m! To get down fast, they attach them selves to a heavy rock. After 2 min they are pulled up real fast by the guy in the boat. This can not be a healthy profession. Decompression sickness, dangerous critters… Al Zubara was an ancient pearl diving town. The tour guide, Surya, picked me up in the ubiquitous V8 Toyota LandCruiser 4 WD. They don’t worry about gas guzzlers in this country. Gas is produced right here and it is cheap. Our first destination was Al Khor, the 2nd largest city in Qatar. It is where a lot of gas company employees live. Surya is from Nepal and a great tour guide. He works for Regency Travel & Tours. He is full of relevant information and good ideas about what to visit. 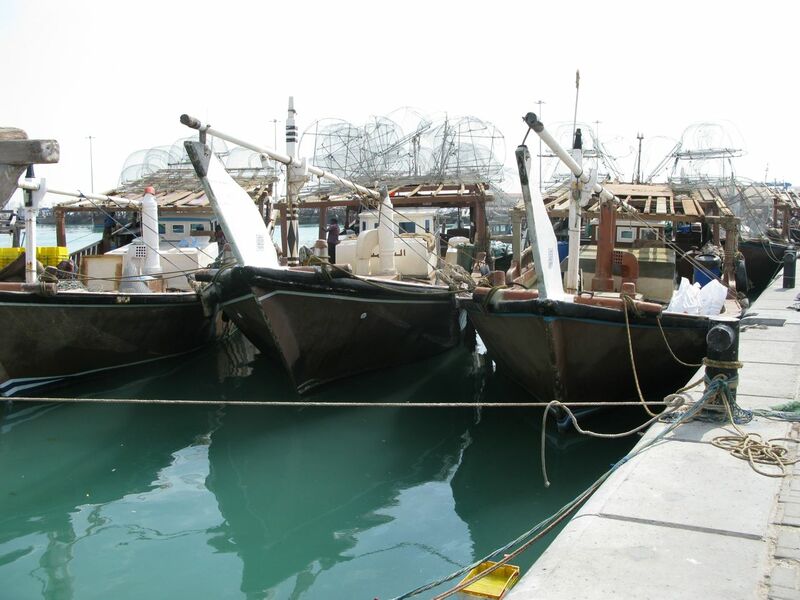 In Al Khor we first went down to the commercial fishing harbor. which all sorts of fish were laid out: “shaari” or “sheiri” (emperor), “suman” (type of grouper), “hammour” (grouper), “rabeeb” (trevally), “al kebeer” (barracuda), “jargoor”(shark), “taban” (tuna), “gabgoob” (crab). Gabgoob sounds onomatopoietic, doesn’t it? I found this great website for English/Arabic fishnames! They list hundreds of fish with all of their names in dozens of languages including not only Arabic, but also Telugu, Tamil, Malayalam, Kannada, Farsi etc. 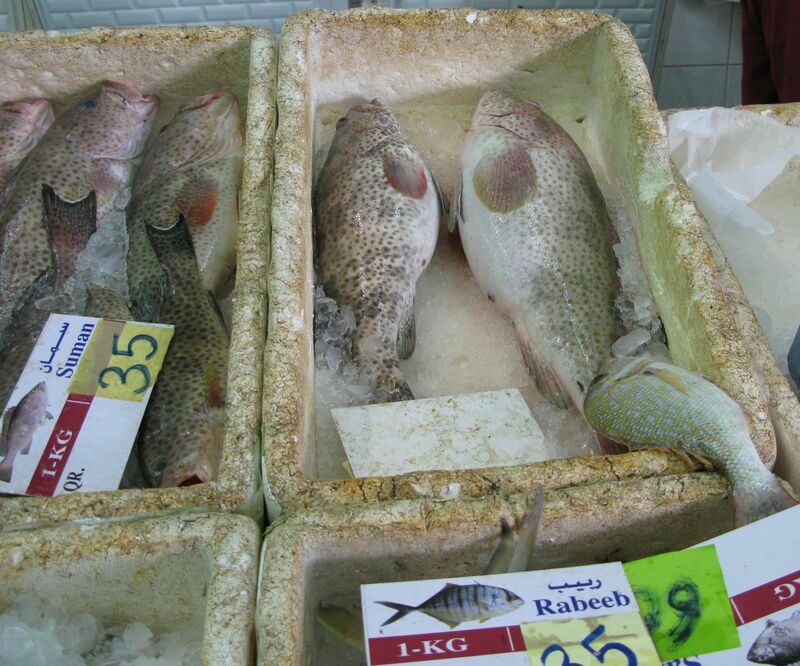 If you are in a foreign fish market you may need to consult this site! 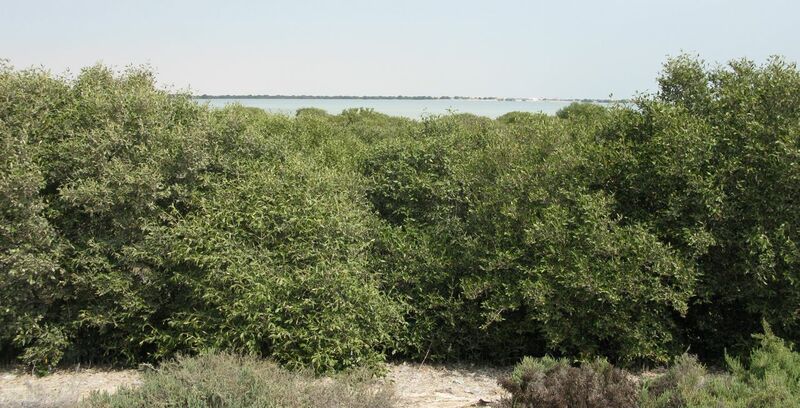 Next we visited the mangrove forest which grows all along the Al Dhakira bay, a protected area called Al Dhakira Natural Reserve. I could not really wade in for fear of getting stuck in the mud but you can visit this place on a kayak tour which sounds interesting! 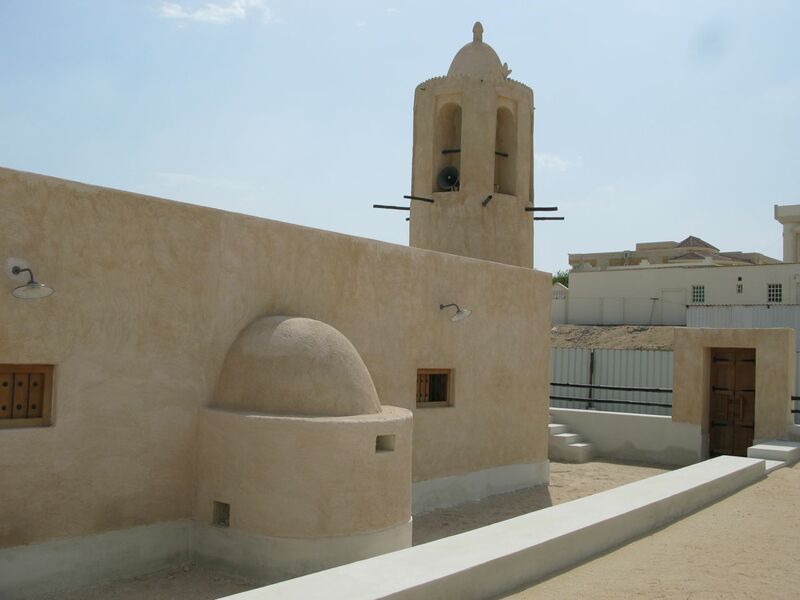 Also in Al Dhakira was a newly renovated, but very old mosque which dates from several hundred years ago. The larger much nicer building with large glass windows, was for men only, while the smaller building with hardly any windows, was for women, lest they be seen from the outside! Our next stop was Al Zubara. The archeological dig site has re-exposed the ancient settling which was destroyed in 1811, and finally abandoned 100 years later to be covered by fine layers of desert sand. It was an Arabian pearl-merchant town for many centuries. The nearby fort is being renovated and houses a museum with lots of interesting artifacts, many related to the pearl diving trade. You can read more here. On our way back to Doha, Surya and I chatted about Nepal where he is from, about the Indian and Nepalese expat communities in Qatar, about what it’s like to live away from your wife and children and only visit once a year, about his ultimate goal of returning to live in Nepal, and even about local politics in the region (always an interesting subject). This was a great trip that I highly recommend if you are visiting Qatar. We were greated at the airport of Missoula, MT, by a 10 foot taxidermed Grizzly bear. “That can’t be real” exclaimed Maria, but a local resident corrected her “Oh yes, that is real”! 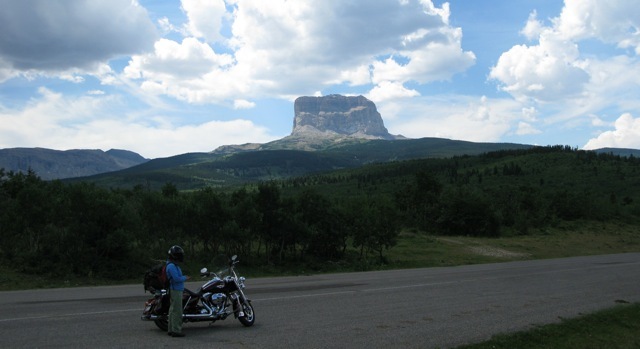 Thus started a 10 day trip on a Harley Davidson Road King motorcycle from Missoula to Jasper (Alberta) and back. West Glacier was our first destination, located at the entrance of Glacier National Park and at the west end of Going-to-the-Sun-Road. The next day we slowly ascended this windy road to the high point: Logan Pass. From there we hiked up the mountain towards Hidden Lake, only to be stopped 1/2 a mile from our destination by park rangers. 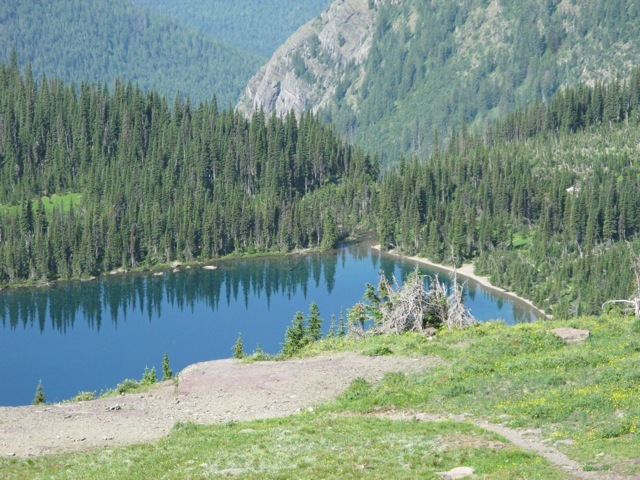 The lake was off limits to visitors because of a family of Grizzly bears that were fishing in the lake. 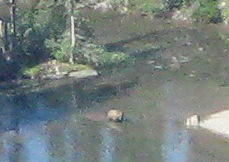 Even from 1/2 mile away we could see them without binoculars! 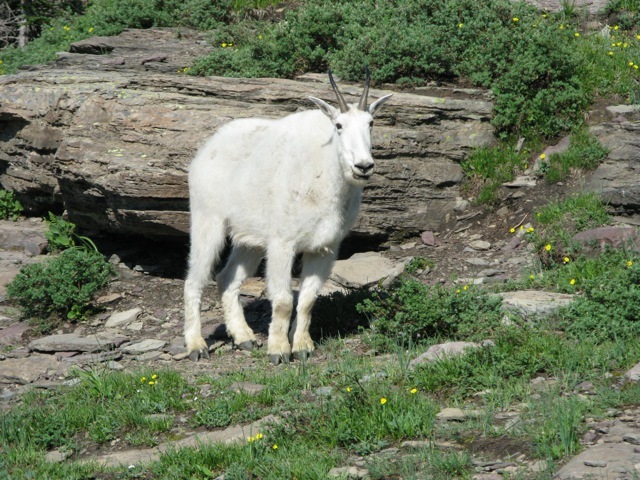 En route we were greeted by several mountain goats (Oreamnos americanus), the symbol of Glacier National Park. Canadian Rockies, mostly huge tracts of farmland. In Longview we stopped at the Rustic Artisan – Longview’s Coffee House. Superb snacks and coffee seemed a little out of place in this farming village with only 90 inhabitants. The coffee house was owned and run by a young Moroccan who had recently emigrated with his family to Alberta! Soon we were surrounded by mountains in the Kananaskis Range on our way to Banff. 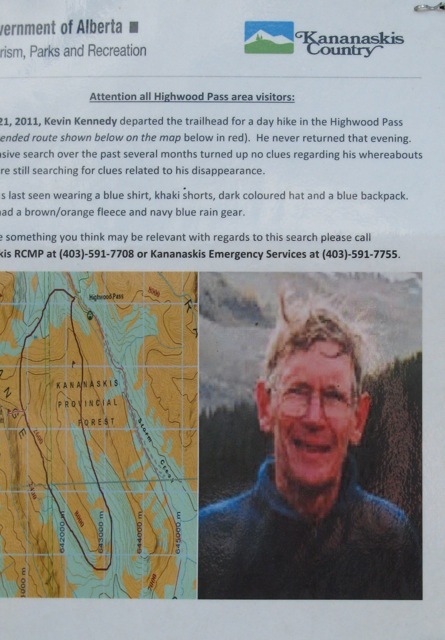 We stopped for a short hike in to the mountains along a well traveled trail and in spite of ubiquitous warning signs, like the one shown here about a hiker called Kevin Kennedy “who departed the trail head for a day hike on the Highwood Pass route…and never returned that evening”. That was in 2011! The highlight in Banff was definitely dinner at The Bison which serves local meats, cheeses and fish. 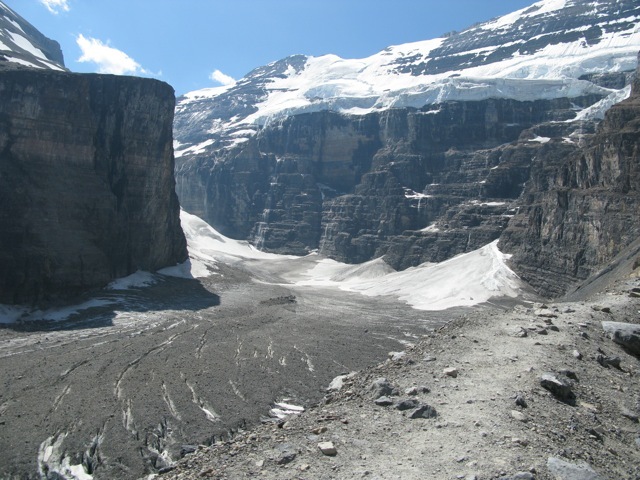 The next day we hiked the “Plain of the 6 Glaciers” from Lake Louise. This famous trail lived up to our expectations, and more. Several hours from the base of the trail there is a “Teahouse” nestled in the trees. They serve local food and drinks on site and the staff live there through the entire summer as there is no access other than a 2-3 h hike up the hill! A day later, we hiked up Johnston Canyon past the falls to the “Tea Pots”. These are sandy ponds bubbling with volcanic gases, sulfuric gases I guess, because of the yellow residues. Japanese tourist taking in the view. Mt. Athabasca in the background. There followed a sensational ride, some 200 miles from Banff to Jasper, with views of massive mountains and glaciers. 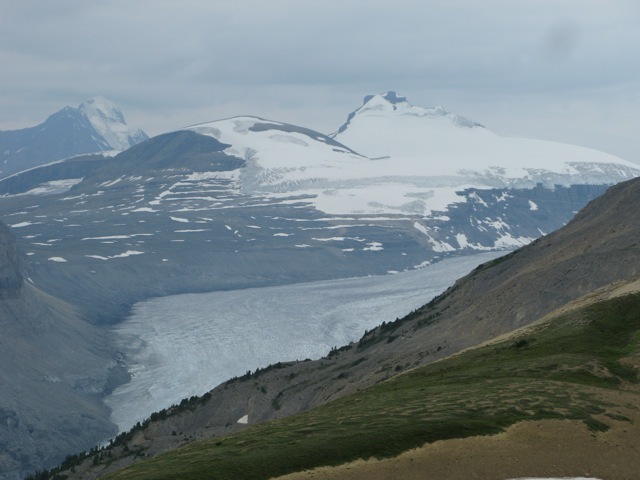 It starts north of Lake Louise with Mount Hector and Hector Glacier, Crowfoot glacier, Bow Lake, Simpsons Num-Ti-Jah Lodge, and Mount Thompson and Bow glacier (Wapta Icefield). 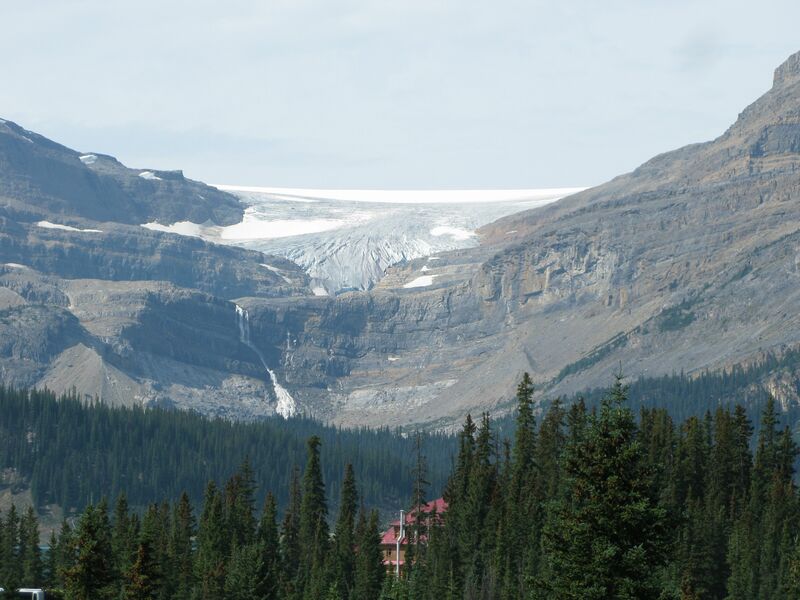 The picture shows Bow glacier and Bow falls. 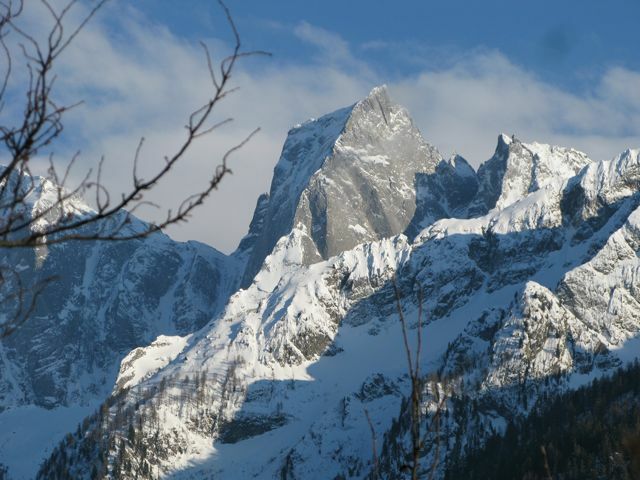 Check out the story of Jimmy Simpson and the history of the Num-Ti-Jah Lodge! The road descends to the crossing of the river Sakatchewan and then climbs again to Sunwapta Pass. 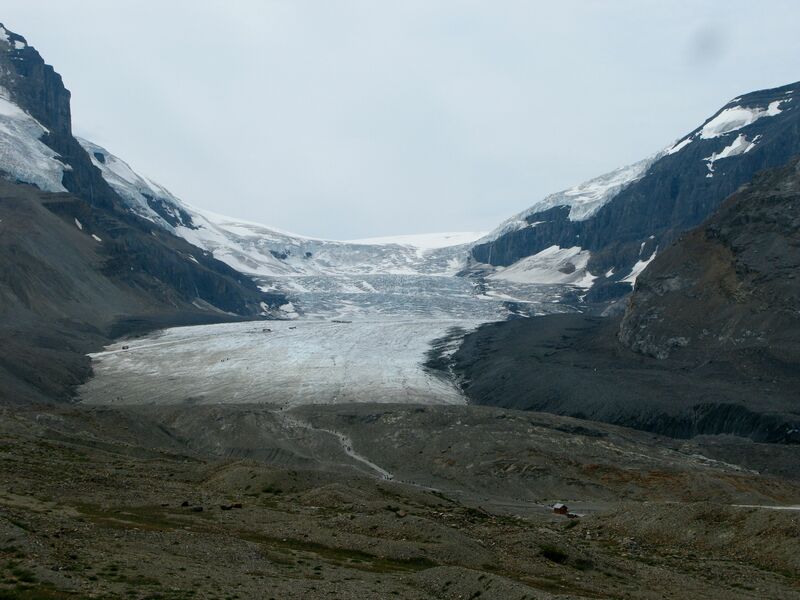 Along the way: the Athabasca Glacier, Mount Columbia (the highest peak in Canada), Columbia icefield, Dome glacier, Stuttfield glacier, etc. While Banff had reminded me of a fashionable Swiss winter resort, rolling into Jasper is more like riding in to a western frontier town. I stayed in a cabin along the Athabasca river. It was cold. There was even an icy hailstorm. The next day I encountered Woodland Caribou (only a few hundred of this species in the vicinity of Jasper). 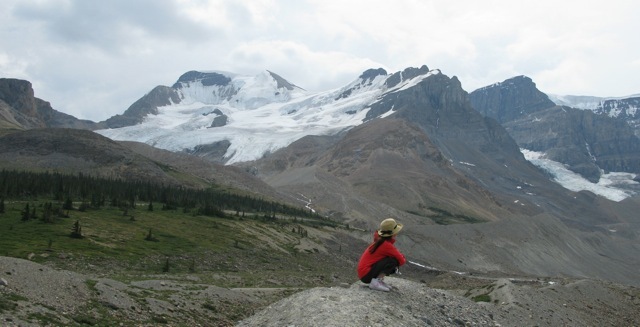 I also took a worthwhile hike up Parker Ridge from where you have a great view of the Saskatchewan Glacier. There followed a long ride south to Radium Springs in British Columbia. 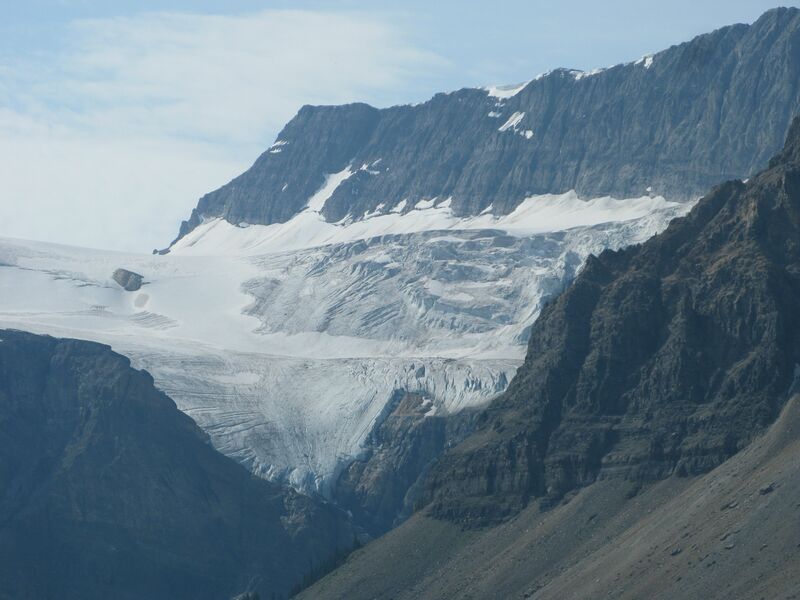 Saskatchewan Glacier viewed from the top of Parker Ridge (a 1-2 hour hike from the highway). 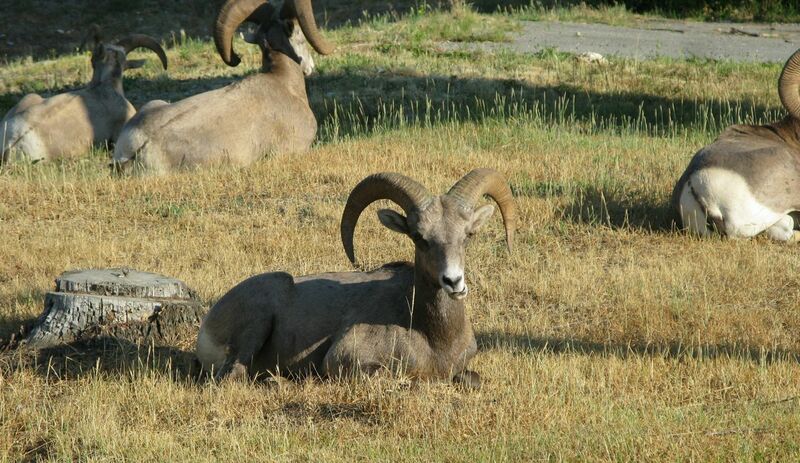 The next morning I encountered 6 Big Horn Sheep resting on the road side just by the motel, apparently not fazed in the least by traffic or humans taking photographs. There were more interesting stops along the way. Canal Flats, is the site of an abandoned canal that linked Columbia Lake to the Kootenay river, and is now a bird wildlife haven. My last day was spent exploring the rock shops in the Flathead Lake region of Montana. Montana Agate is their specialty. I’ll create a separate blog post for this topic! The trip started off as usual: an annual visit to Doha (Qatar) where I teach a course in medicine, see my prior blog posts. It has become routine. A five star hotel, this time “The Four Seasons”, excellent food including the local fish “hamour”, a visit to the souk to buy curry, fresh from Sri Lanka, and to buy a few gem stones: spinel and hot pink topaz, both quite expensive. A few days later I was in Lucinges, a small French village just across the border from Geneva Switzerland. There is a great little hotel/restaurant in Lucinges “Le Bonheur dans le Pres”, which translates literally to ‘happiness in the fields’! It is run by Ludyvine & Cyril. The hotel is an old stone farmhouse in the midst of hay fields. Their food and wines are exquisite. There is just one menu offered with several courses and the matching wine is served freely. Cyril is the chef. He has many years of experience as the cook in a high quality Indian restaurant in Geneva. I gave him some of the curry from Doha! From Lucinges I visited family & old friends in Geneva and in Neuchatel. Then came a few days with another brother in Edinburgh, Scotland. He had just bought a huge 150 year old house: 19 rooms he estimated, and 14 chimneys. It had never had central heating and each room seemed to have a fireplace! They were undertaking a huge renovation project. 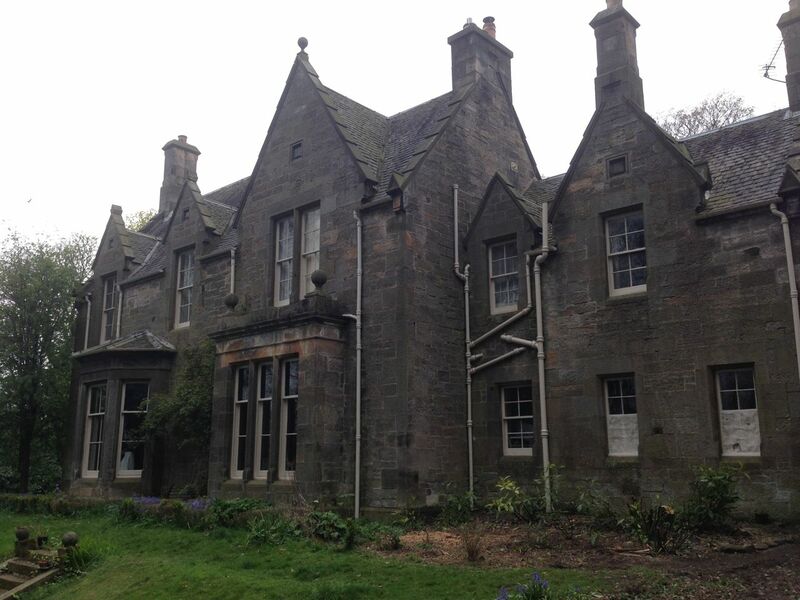 The house was a “manse”, a house occupied by a minister of a Presbyterian church in earlier times. Finally there was a visit to a cousin’s daughter near York: Nicky Milner. She is a professor of archeology and an internationally known specialist on the Mesolithic period (stone age around 9000 BC). 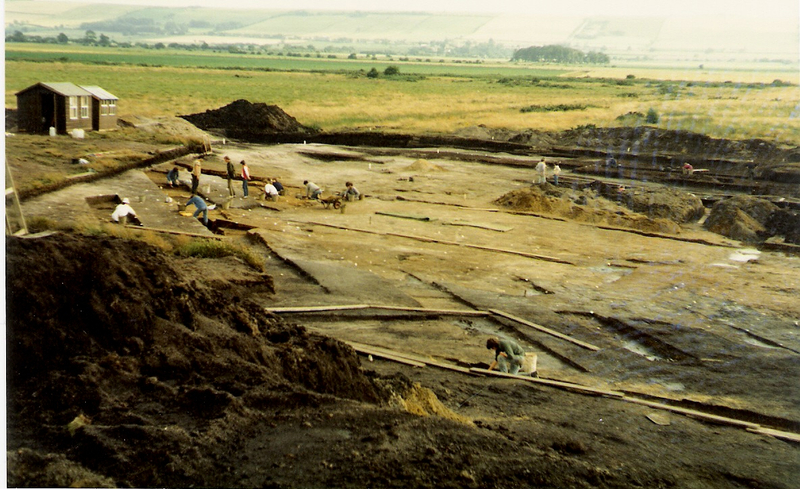 She and her colleagues have unearthed an entire settlement along an ancient lake. The place is called Star Carr. I was treated to a visit of this “dig”, quite an experience. Lastly, there was a visit to a hospital in Oxford where a friend is being treated. As an MD with some knowledge of the specific problem, I was impressed. Top of the line medical treatments and all covered by the British National Health Service. How civilized. I spent the summer on different beaches: the Pacific coast of Northern California, the Maggia river in Switzerland and our home beaches of East Hampton. 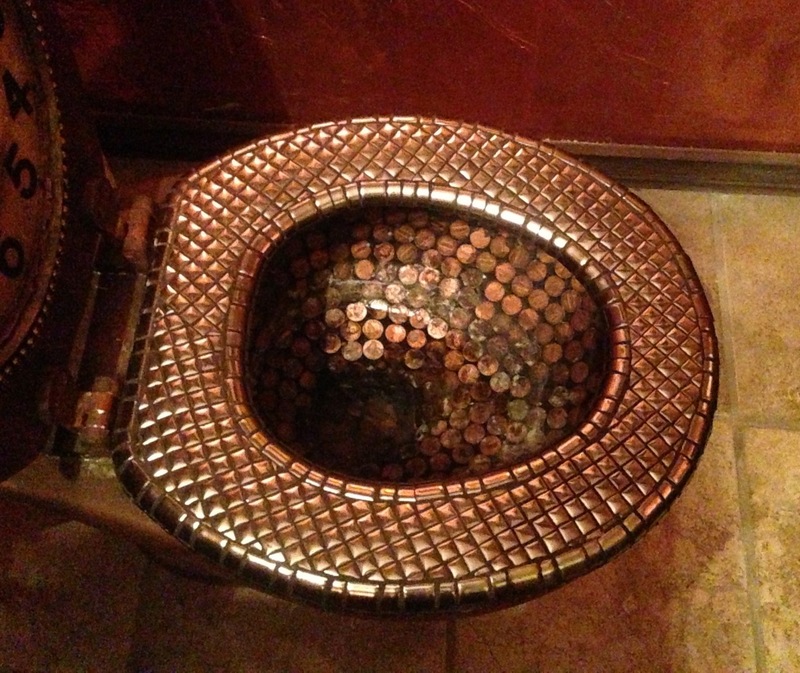 Everywhere there is art on display. Not by famous artists but by common people that pick up stuff from the beach and put it together to make a “work of art”. It is playful. It also is testament to the beauty of nature. Often not much is needed to beautify the scene. Other times the objects are small (a pebble), or common (litter), or unnoticed (drift wood) and the artist wants to draw attention to their unique beauty. Here are some specimens I found. 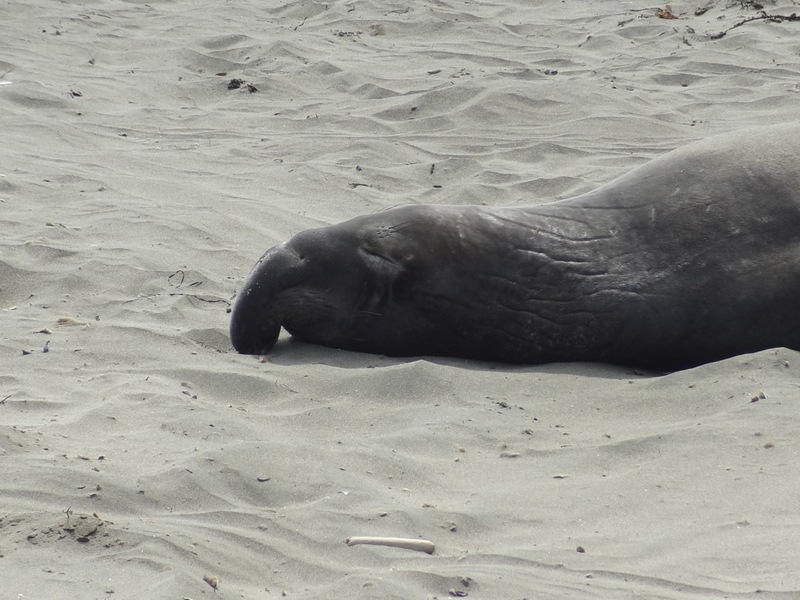 Elephant Seal, Big Sur (CA) Art? Why not? 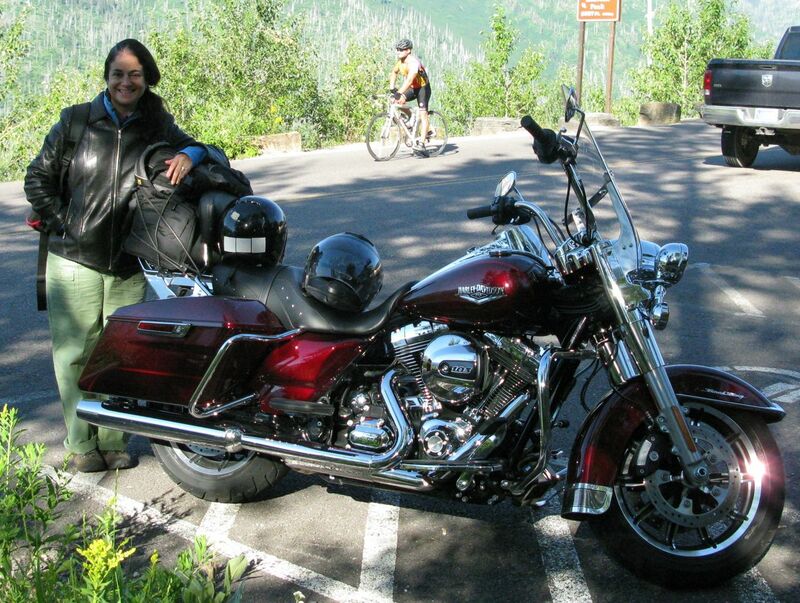 This is my 2nd contribution in regard to our summer motorcycle trip which brought us up through the mountains from San Diego to Arcata (via Sequoia National Park, Yosemite National Park, Lake Tahoe, Lassen Volcanic National Park). Arcata is on the Pacific Ocean and home to Humboldt State Univ. It is a college town. We stayed with a good friend for 2 days. Time to clean and rest up and to visit Laurel Skye’s “SkyeLab“! 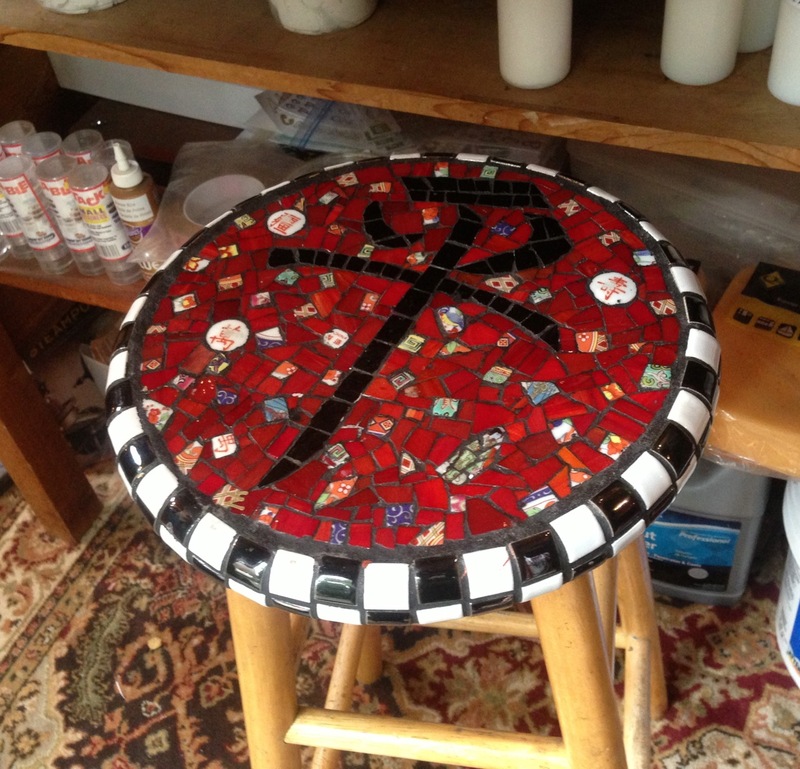 Laurel is a mosaic artist. She teaches across the country (and even in Italy), writes books on her art form, and uses her home as a studio or “lab”. She also sells mosaic supplies. 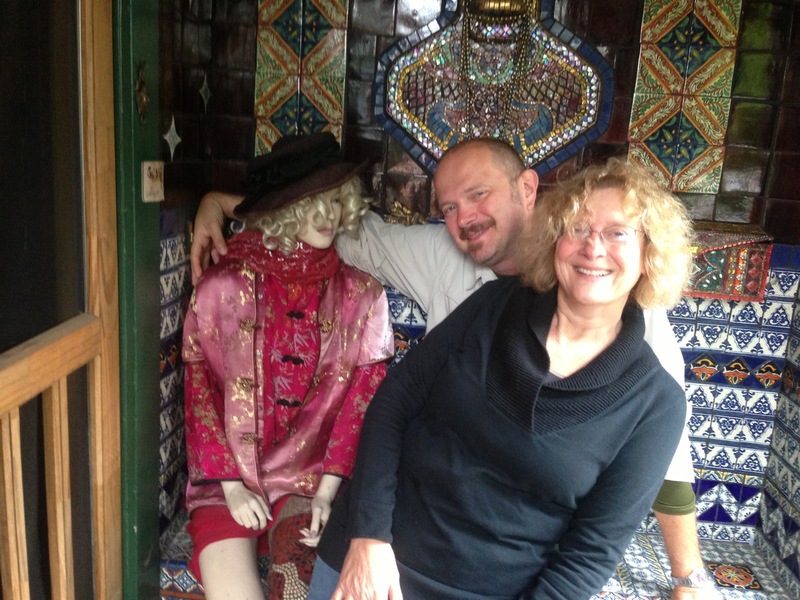 She generously invites interested folks to visit and that is what we did! The entire house is decorated with mosaics, the porch, the front door, the floors, the walls, chairs, tables, the garden, the kitchen, the bathtub and even the toilet bowl! Here are some pictures, but be sure to visit her own website where you will see a mosaic decorated mandolin and a trumpet! 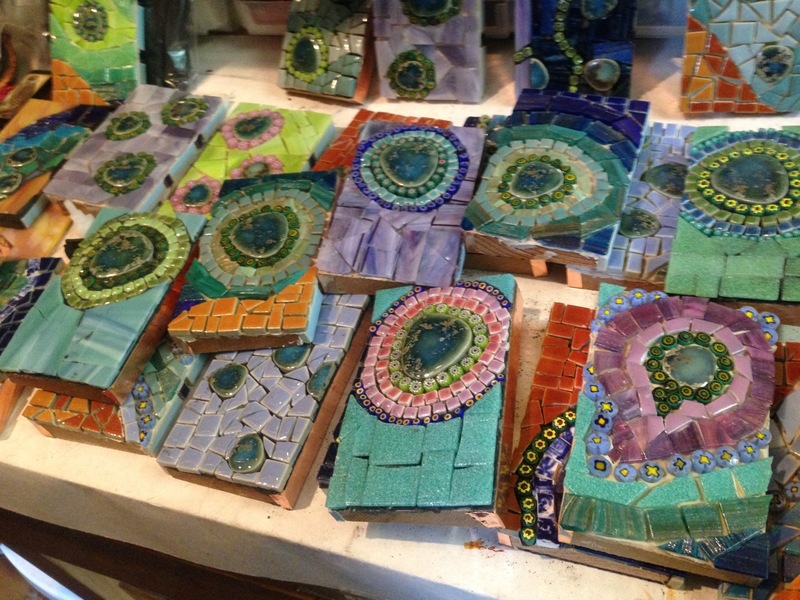 There are lots of ideas on how to use mosaics to decorate your own home. Also, you should check out some of the other artists featured on mosaicartsource.com. I am truly amazed at the many different styles and the expressive nature of some of the art work. On July 27th I flew to San Diego and rented a 1200 RT BMW motorcycle with 4 in line cylinders, a powerful bike with which I was going to cruise 2600 miles across California. 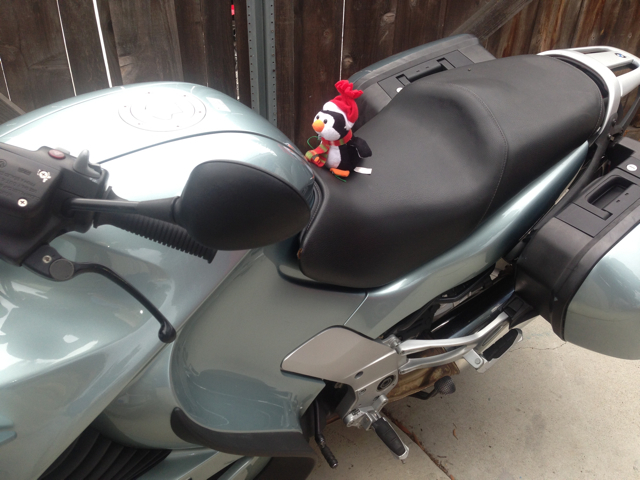 My friend Manu lives in San Diego with his Kawasaki Versys 650. He picked me up at the airport and we went right to the beamer rental shop. The next day we set out early, the first leg of a 12 day journey, all the way up to Arcata, CA, on as many scenic routes as possible and then back down along the coast. We crashed overnight at the cheapest motels in town or at a friend’s house, but we had dinners every night at the best restaurant we could find on Yelp! On our way south, in Carlotta, CA, we stopped at Chapman’s Gem and Mineral shop on route 101, also called the Redwood Highway. This is paradise for rock hounds. For a couple of dollars I bought snowflake obsidian, jasper, rhodonite and much more. Here are some samples. We stopped in Fort Bragg, CA, and we took the trail to “Glass Beach”. This was a dump site for local residents, until 1967. 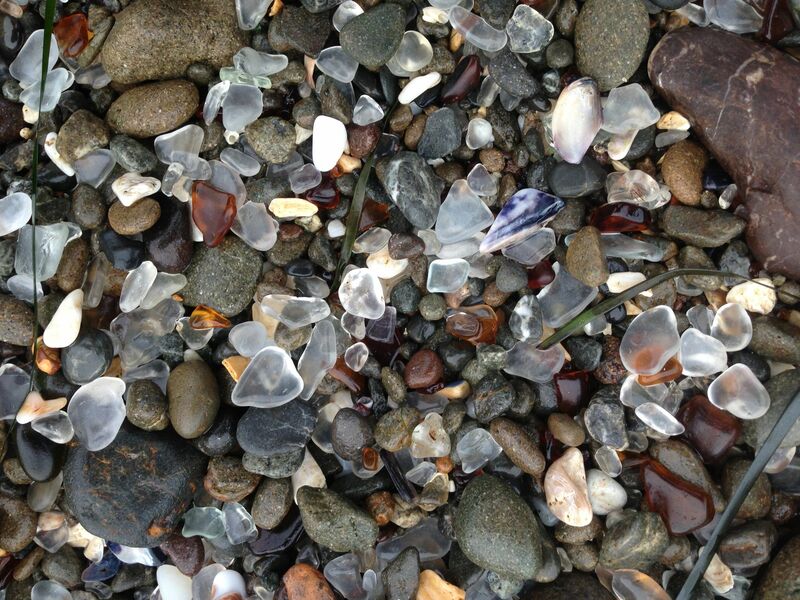 Now, in stead of sand, the ground is composed of small shards of smooth glass, ground extensively by the sea waves. I had read about the place. But we found the pieces of glass to be too small to use for jewelry. Rarely, one finds a piece that is larger than 2 cm. within a National Forest. It is easy to get to from Highway 1. The green cliffs are composed of nephrite (a type of jade) and also serpentine. Nephrite is a soft stone (Mohs 6) which is easy to carve and when polished it is vitreous and has an oily luster. It can be very elegant with white to green to grey hues. It was considered an imperial stone in chinese dynasties. Here are some of my samples. And a finished piece with banded agate, from Chapman’s Gem shop, see above. 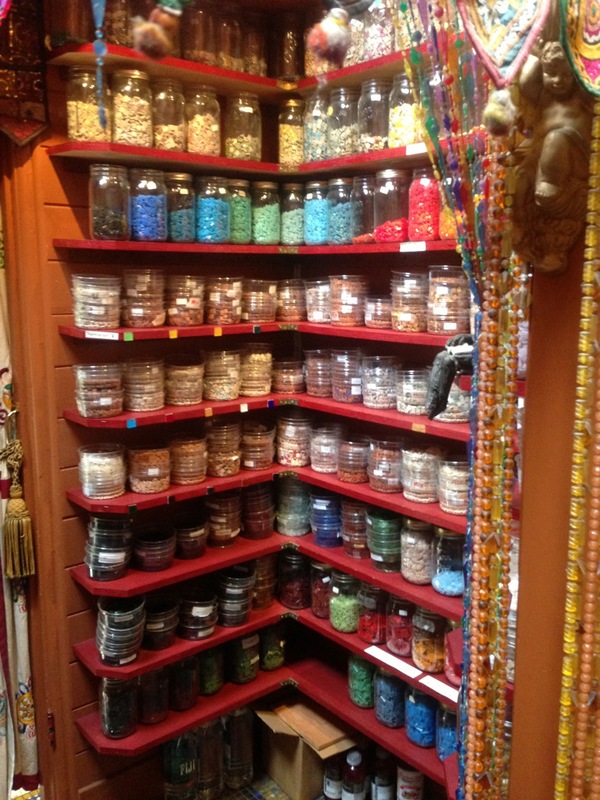 There is more to come about other adventures on this trip, although they have little to do with lapidary or jewelry. Stay tuned! A trip down memory lane is mostly a personal thing. But this one seemed worth sharing. The excuse for the trip was a high school class reunion in Zurich (Switzerland), 45 years after graduation! But the first leg of the journey was to Soglio, a mountain village in a steep, somewhat claustrophobic valley called Bergell (in German), Bregaglia (in Italian) or Bargaja (in the local tongue). It derives from the Latin ‘Prae-galia’ , literally the land ‘before the Gallic provinces’. It does not take long to understand that this valley served as a passage from Italy to Austria (via the Engadin) or to Germany/France, called Galia in Roman times, via the Julier pass road. This road was built by Caesar’s armies! Given the strategic importance of the Bergell, it’s inhabitants charged tolls to those wanting passage. Generally these ancient border patrol people were heavily armed to control the valley and impose their tolls. 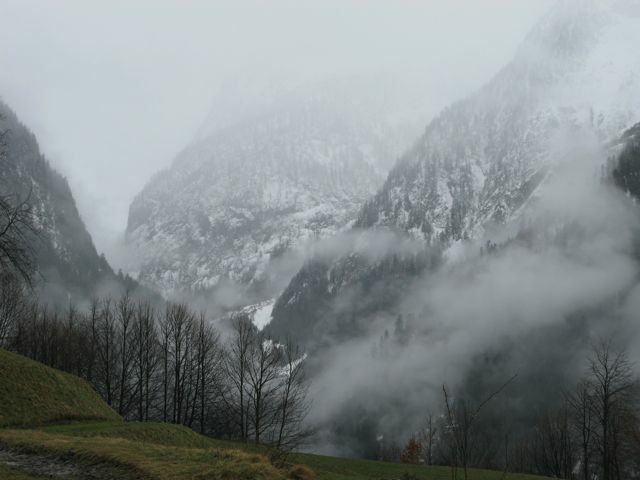 The valley has a mystic scenery and is known for producing some famous artists like the sculptor Alberto Giacometti from Stampa and the painter Giovanni Segantini, who lived in Maloja for a while, where I spent summers as a boy. We stayed in Soglio, a small village perched on the flank of the valley, in the Hotel Palazzo Salis, built 1629, that once housed the Austrian poet Rainer Maria Rilke (ca. 1919). He lived for a while in room 15. I stayed in room 16 with a view of the garden in the back. 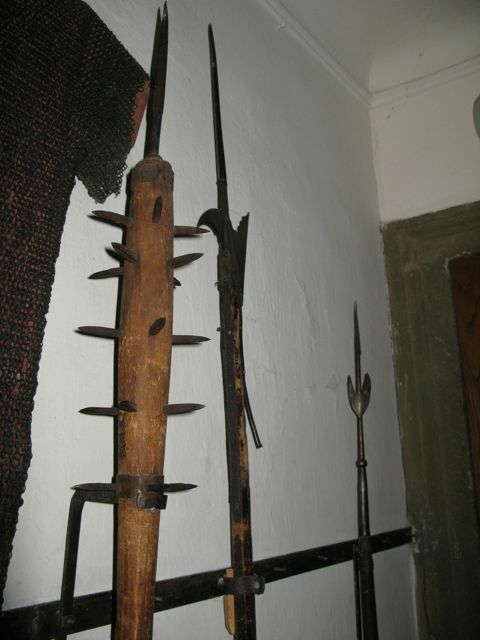 The hotel also exhibits the arms used by the Von Salis family, the local rulers, who inhabited the building for centuries, including wicked looking swords and spears, ‘Hellebarden’ or halberds, and ‘Morgensterne’ or morning stars. I took pictures of swords with beautiful inlay work: brass (I think) embedded in the steel blades, see the title picture! They were displayed just outside my room as if I might need them to defend myself! Soglio is remarkable for its age-old mountain homes and beautiful views of the steep mountains on the opposite side of the valley. This includes Piz Badile, a very steep peak with a north-east face thought to be among the most difficult climbs in the Alps. 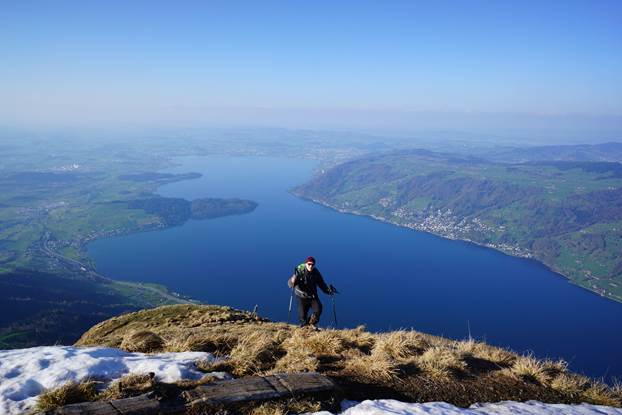 In case you want some thrills, check this filmed ascent of the Cassin route! After Soglio there followed visits with old Swiss friends from 50 years ago! And reunions of long-lost family. There was a new generation of children I had never met! A visit to the Chagall exposition at the “Zurcher Kunsthaus”, with my childhood friend and current author, Daniel Suter, was well worthwhile. It features a review of his life’s work. It is a temporary exhibit, open until May 12, 2013. And, finally, we met at the Hotel Storchen in Zurich for the ‘Klassenzusammenkunft’ which means ‘class reunion’. Even the Latin teacher was present! Sheepishly I raised my wine glass to toast him and uttered the first latin words that came to mind: in vino veritas est. Over dinners with friends and family I grew to admire several pieces of jewelry. They are featured here. Zurich is a place where there are always plenty of nice things! 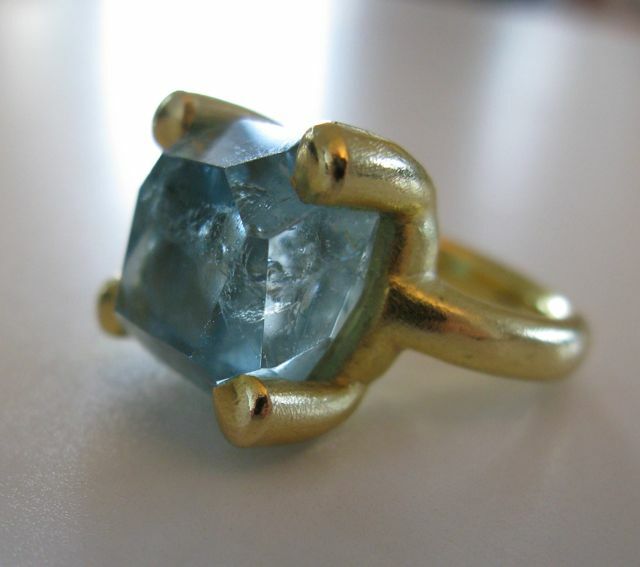 For example this stunning 20.67ct aquamarine, set in an 18K gold ring crafted by Gabriele Krack. 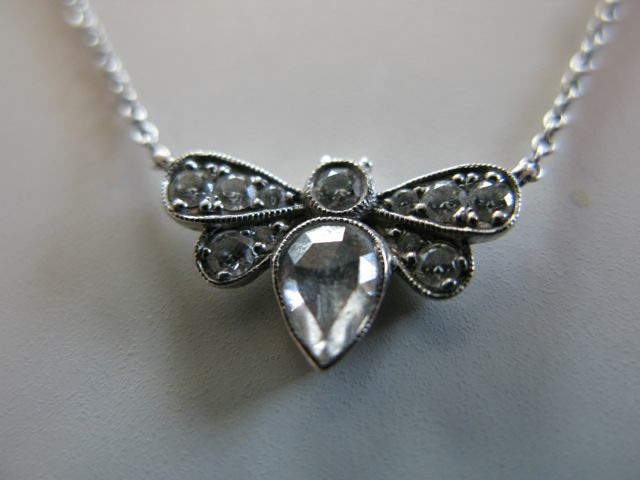 Or a Bee Pendant, made of diamonds set in platinum (Tiffany).